Collins Center for the Arts, University of Maine. Formerly the Maine Center for the Arts before a recent renovation, the Collins Center for the Arts at the University of Maine, in Orono, has provided residents of eastern and central Maine with a wide variety of world-renowned acts in dance and theater, as well as pop culture since 1986. African dance troupes, off-Broadway shows, musical acts such as The Dave Matthews Band, speakers such as critically acclaimed and award-winning writer Maya Angelou and comedians such as George Carlin have all appeared at the center's 1,629-seat Hutchins Concert Hall. The center is also home to the Hudson Museum, which features American Indian artifacts from North and South America. The museum is open from 9 a.m. to 4 p.m. Tuesday through Friday and from 11 a.m. to 4 p.m. Saturday and Sunday. Admission is free. The center's performance schedule runs from September through May. 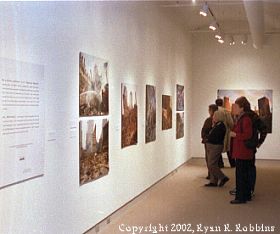 The UMaine Museum of Art gallery. On the first floor of Norumbega Hall on Harlow Street in downtown Bangor, the UMaine Museum of Art opened at its newer and larger location in December 2002. The museum's permanent collection features about 6,000 works, including those by Pablo Picasso, Andy Warhol and Andrew Wyeth. The museum features traveling exhibits throughout the year and exhibits a small number of works from its permanent collection on a rotating basis. The museum offers a summer art camp for area children. The museum's hours are 9 a.m.-5 p.m., Monday through Saturday. Thanks to a gift from Machias Savings Bank in fall 2007, admission to the museum is free through 2008. (207) 561-3350. UMaine's Lyle Littlefield Ornamental Gardens features rare plants and flowers. The gardens are open from sunrise to sunset every day. Admission is free. Built in 1960 to study the characteristics of various plants and flowers in Maine's harsh climate, the 16-acre Lyle Littlefield Ornamental Gardens at UMaine has more than 1,200 species. Some have come from as far away as the former Soviet Union. Horticulture students use the garden for class experiments. 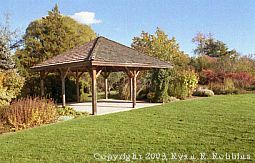 The kempt lawn has drawn visitors to have picnics, artists to paint or photograph, and couples to choose the gardens for their nuptials. The gardens are open every day from sunrise to sunset. Admission is free. Founded in 1895, the Bangor Symphony Orchestra is the nation's oldest continuously performing community orchestra. The orchestra's season begins in the fall and runs through early spring, with regular performances at the Maine Center for the Arts at the University of Maine in Orono. Each December, the orchestra teams with the Robinson Ballet Company to perform "The Nutcracker Suite," one of the Greater Bangor area's most popular holiday traditions. In addition to performing, the orchestra also sponsors a youth music program and competition. For more information, visit the orchestra's Web site, at www.bangorsymphony.com, or call (207) 942-5555. 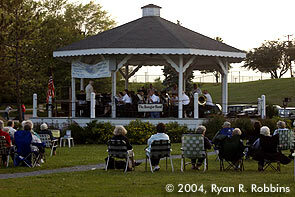 The Bangor Band performs free summer concerts at 7 p.m. Tuesday nights at the Paul Bunyan Park bandstand. In late spring and throughout the summer, the Bangor Band picks up where the Bangor Symphony leaves off, performing weekly concerts on Tuesday evenings at the Paul Bunyan Park grandstand on Main Street, in front of the Bangor Auditorium. The popular concerts draw hundreds to the park to sit on blankets or in lawn chairs for an hour of fun music that ends at about sunset. Admission is free. At the end of its season, the band performs around the city's neighborhood parks, with the highlight being the Chapin Park block party in August. The band also performs at the annual Cascade Park celebration in early September. 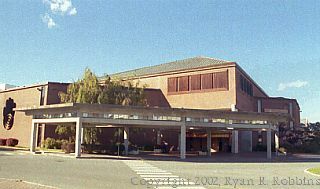 In December, the Bangor Band performs an annual holiday concert at the Bangor Auditorium. For a wider variety of music, check out the Cool Sounds of Summer concerts, held at 7 p.m. on Thursday nights at Pickering Square in downtown Bangor. The Bangor Public Library also holds an outdoor summer concert series, on its front lawn on Harlow Street. 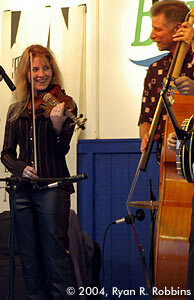 The Cool Sounds and Bangor Bangor Public Library concerts feature Maine musicians mostly and admission is free. Bring a lawn chair or blanket and enjoy the shows. Nothing compares to the live performance at a theater. Among traveling performances at the Maine Center for the Arts at UMaine, performances by the UMaine School of Performing Arts and a full season of productions by Bangor's own Penobscot Theatre Company, theater buffs should be able to find something appealing, be it a traditional performance of a Tennessee Williams play or a lesser-known play performed by UMaine students. UMaine School of Performing Arts productions take place at the school's Hauck Auditorium or at the more intimate Cyrus Pavilion Theatre. The Penobscot Theatre Company, housed at the Bangor Opera House on Main Street in downtown Bangor, begins its performance season in late September and wraps in early May. The Robinson Ballet Company performs productions in the Greater Bangor area during its fall and winter season. Each Christmas season the company collaborates with the Bangor Symphony Orchestra to present "The Nutcracker." The company's headquarters is at the River City Dance Center, 107 Union St. For more information, call (207) 942-1990. Held every late-April or early-May at the Bangor Auditorium, the Anah Temple Shrine Circus wows, dazzles and thrills children and adults alike with acts ranging from elephants to contortionists to magicians to dancers to trapeze artists. As always, the Shrine clowns keep everyone entertained before, during and after the show. Because of the Auditorium's small floor, spectators are just about right on top -- or below -- the action. The Anah Shrine Clowns make appearances year-round at community parades and celebrations. 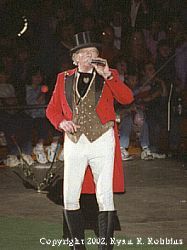 For more information, visit www.anahshriners.com. Two first-run movie theater complexes serve the Greater Bangor area. The Boston Culinary Group runs a 10-screen theater on Stillwater Avenue next to the Bangor Mall. For show times, check out the Bangor Cinemas Web page. The six-screen Spotlight Cinemas, at University Mall on Stillwater Avenue in Orono, used to play second-run movies, but it switched to first-run features in May 2003. Tickets for shows Monday through Thursday are $4.50. Tickets for shows Friday through Sunday are $4.50 for matinees for adults and $7 for evening screenings for adults. Senior citizens and students pay $4.50. Spotlight has one digital surround sound screen. For Spotlight show times, check out its Web site or call (207) 827-7411.